W. W. Norton & Company, 9780393249897, 272pp. In rural Indonesia, she watches a man clean and dress his grandfather's mummified body, which has resided in the family home for two years. In La Paz, she meets Bolivian natitas (cigarette-smoking, wish-granting human skulls), and in Tokyo she encounters the Japanese kotsuage ceremony, in which relatives use chopsticks to pluck their loved-ones' bones from cremation ashes. 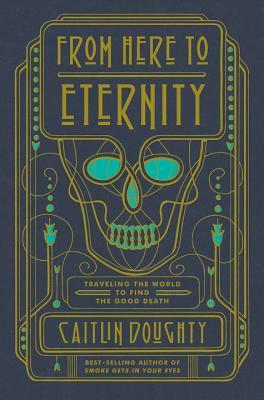 With boundless curiosity and gallows humor, Doughty vividly describes decomposed bodies and investigates the world's funerary history. She introduces deathcare innovators researching body composting and green burial, and examines how varied traditions, from Mexico's D as de los Muertos to Zoroastrian sky burial help us see our own death customs in a new light. Doughty contends that the American funeral industry sells a particular--and, upon close inspection, peculiar--set of "respectful" rites: bodies are whisked to a mortuary, pumped full of chemicals, and entombed in concrete. She argues that our expensive, impersonal system fosters a corrosive fear of death that hinders our ability to cope and mourn. By comparing customs, she demonstrates that mourners everywhere respond best when they help care for the deceased, and have space to participate in the process.